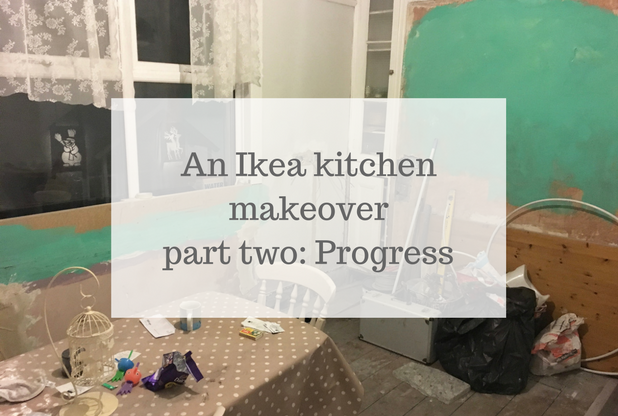 Since November I’ve talked A LOT about having an Ikea kitchen makeover, and now the end is finally in sight. 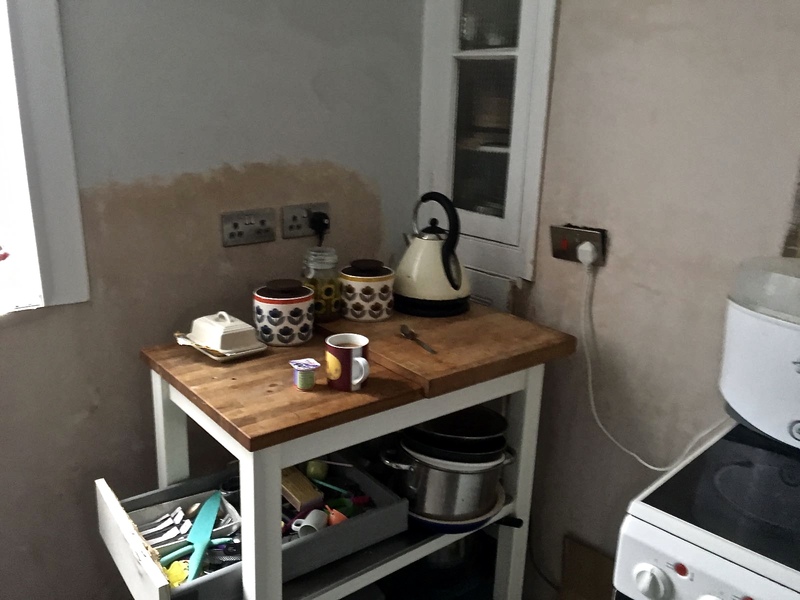 We’ve converted our dining room into a kitchen/diner and turned our tiny old kitchen into a utility room. 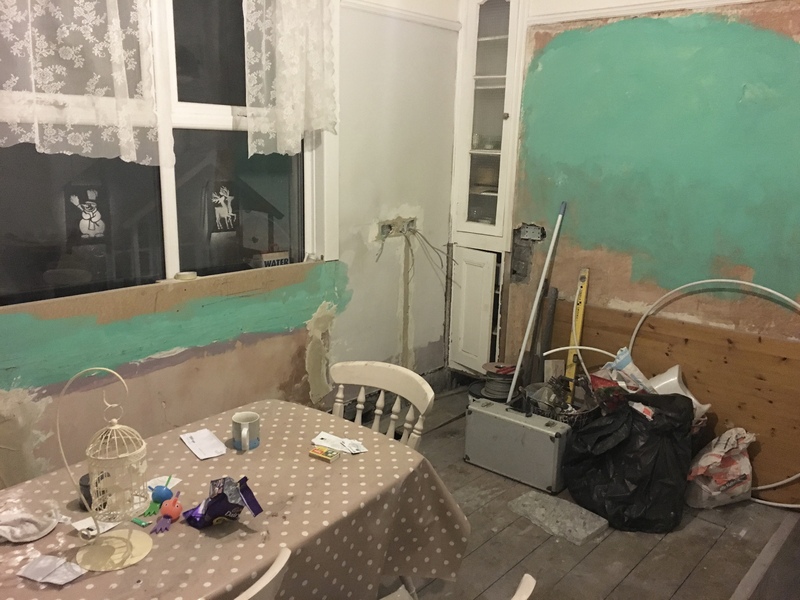 I posted some before photos a few weeks ago to show just how bad the room was, and why we were so desperate to have it redesigned. If you missed it, you can see them here. So today as the end is finally in sight I thought I’d share some of the photos of the work in progress. Brace yourself, it’s not pretty! 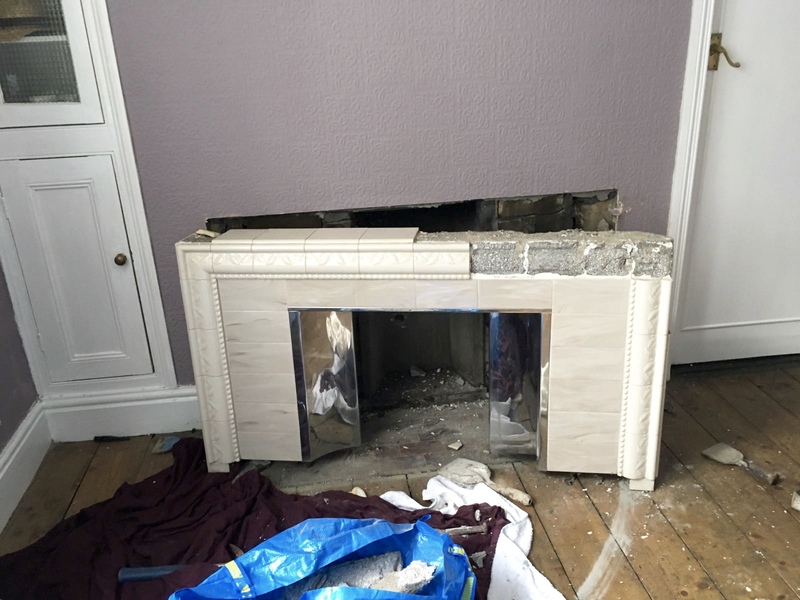 The first job was to take out the old fireplace. Stew did this while I was at my parents, and I had a bit of a shock when he sent me photos of the bare wall! 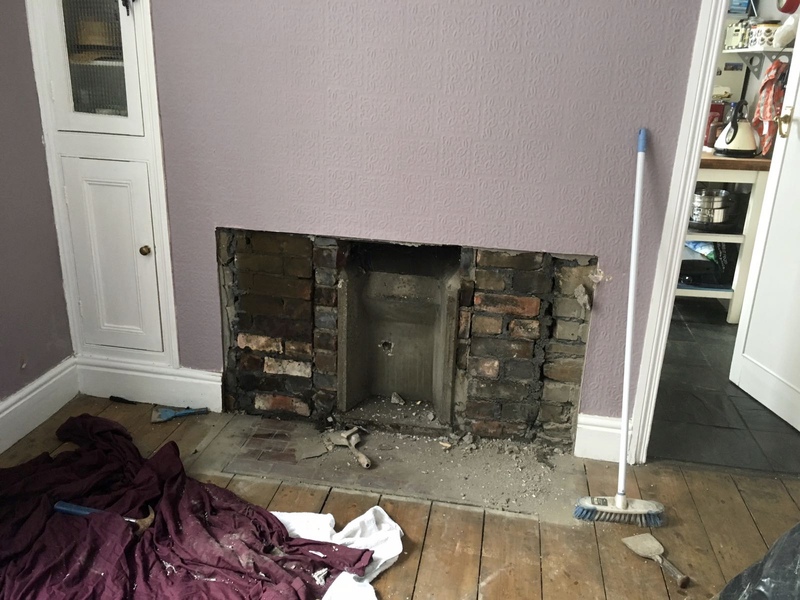 At this point I started to get a bit nervous that we were making a mistake as we’d bought this house based on all the old quirky features. But the dining room just wasn’t functional and the kitchen too small and impractical so we had to do something. Next came plastering, a lot of evenings painting after the boys had gone to bed, and finally it looked like some progress was being made as the new floor started to go down. 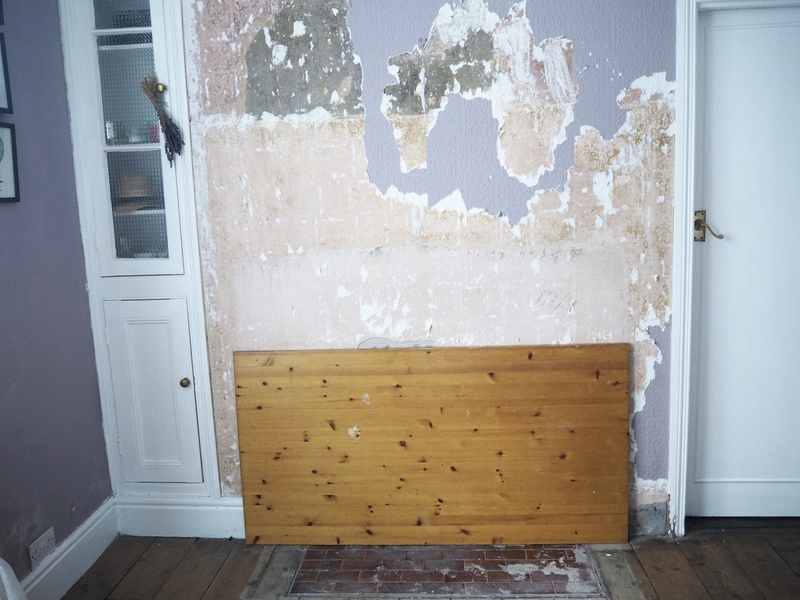 We debated a lot about keeping our floorboards or laying laminate, and eventually decided that the old floor might look out of place in a new kitchen. 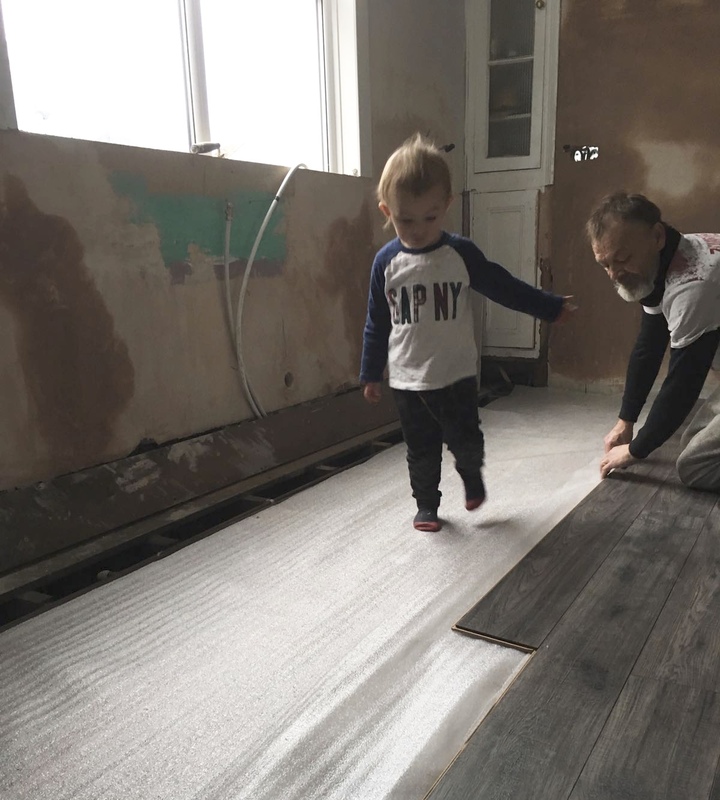 I think it pained Stew to see the boards being covered up after he’d painstakingly sanded them four years ago, but the new floor looks so clean and modern it was definitely the right choice. We went for the Ostend Berkeley range from B&Q, and on the walls we used Polished Pebble by Dulux. And just as quickly as it seemed we were making progress, we started going backwards. While everyone else was preparing their houses for Christmas, our dining room was in this state on December 23… Check out our half-hearted effort at window decorations (and our half-cut nets!). At this point I started to get quite disheartened and didn’t think we’d ever get it done. 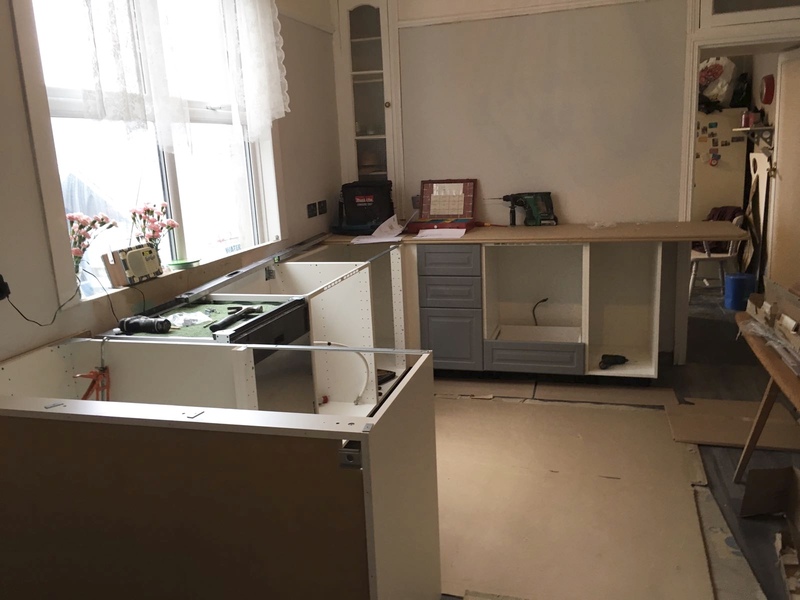 Our Ikea kitchen was arriving in two weeks! Just what you want for Christmas … cables hanging out of the walls, more dust than you could ever imagine, and bright green walls. Coincidentally, that’s pretty much the colour our bathroom was when we bought the house! Then, just in time for new year there was more floor laying action, which of course Santi got in on. Apologies for the blurred pics. With the kitchen out of action we’ve lived on microwave rice, food that can be cooked in one pan, and a couple of takeaways (but somehow not as many as I’d anticipated). Stew even created a little tea station to make sure we got our caffeine fix! 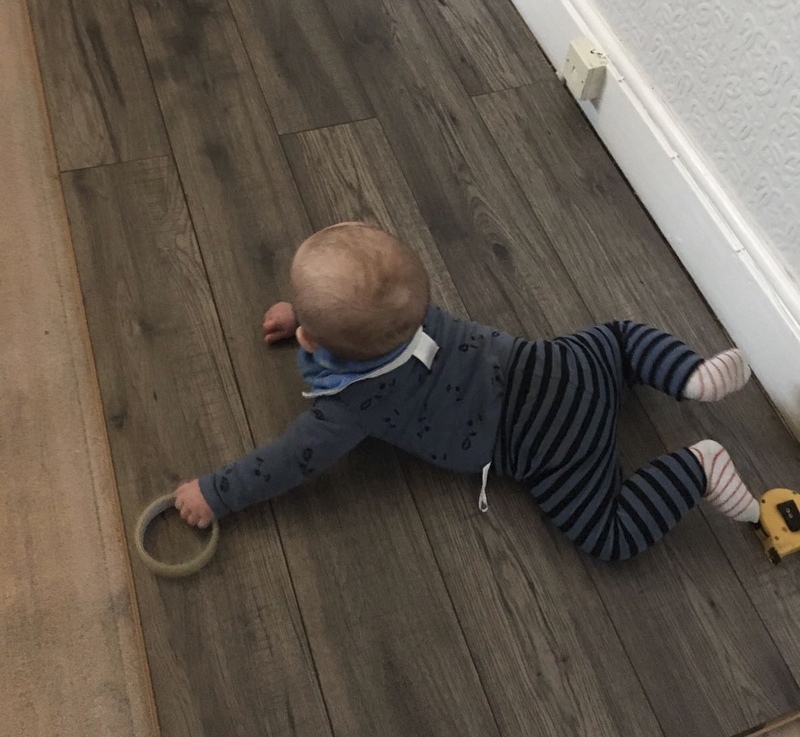 It’s been tough going, and looking at these photos I can’t quite believe we put ourselves through this over Christmas. I can now breathe a sigh of relief that it’s so close to being finished. It’s really not an easy job having a kitchen done, and moving it into a different room has, at times, been a nightmare, but it’ll so be worth it. Keep an eye out for my post on the final result … it won’t be long! Really looking forward to the end result! I do love Ikea kitchens, half of mine is Ikea, because it was the only place I could find the stuff to match.